was sometime gone from the programs workspace list. 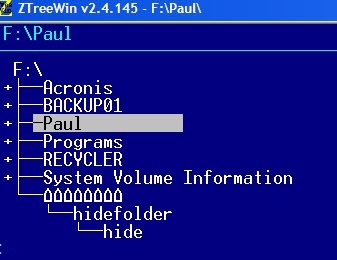 A series of unwanted hidden folders (that were not hidden) appeared on the external usb drive. The parent folder name was 5 or so triangles. Something I've seen on other hider programs. The child folder named hidefolder and another sub folder "hide"
that were supposed to be hidden! The original targeted folder was hidden. to delete the weird folders with file explorer..
that worked fine, hiding the folder and files. However left was the attached folders. which defeats the purpose of the program. an install issue. And it remains an issue for me.